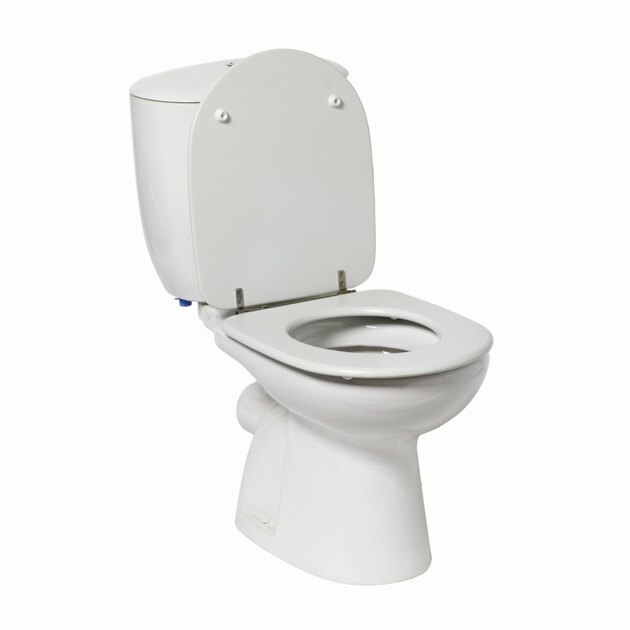 Toilet seats come in a variety of styles, all intended to offer comfort for the user. Companies that manufacture toilet seats address consumer issues such as style, warmth and softness. In addition, consumers don't like noisy toilet seats, whether the noise comes from squeaky hinges or the discordant slap of the lid as it hits the ring when closing. There are several solutions that enable a toilet seat to close quietly. Use a variety of techniques to make a toilet seat close quietly. Apply a touch of all-purpose household lubricant to the toilet hinges when they begin to squeak. Work the hinges back and forth until the squeaking stops. Invest in a toilet seat that has a quiet-close mechanism. These seats lower slowly, both lid and ring, eliminating the jarring bang that comes from the force of gravity. Choose a padded toilet seat to muffle the sound of the lid closing. This type of seat not only closes quietly, but it also provides a somewhat warmer seat that's welcomed in the winter months. Cover the toilet-seat lid and ring with a fabric cover. The fabric keeps the lid from closing loudly. Sets such as these are removable for washing. Install new bumpers using a rubber-bumper replacement set. A set of round rubber bumpers goes on the underside of the lid, and a set of rectangular rubber bumpers goes on the underside of the ring. Primarily used to stabilize the seat so it doesn't shift or pinch, rubber bumpers also muffle the sound of a lid or ring closing too fast.